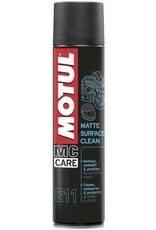 Motul E11 is a cleaner for matte surfaces. 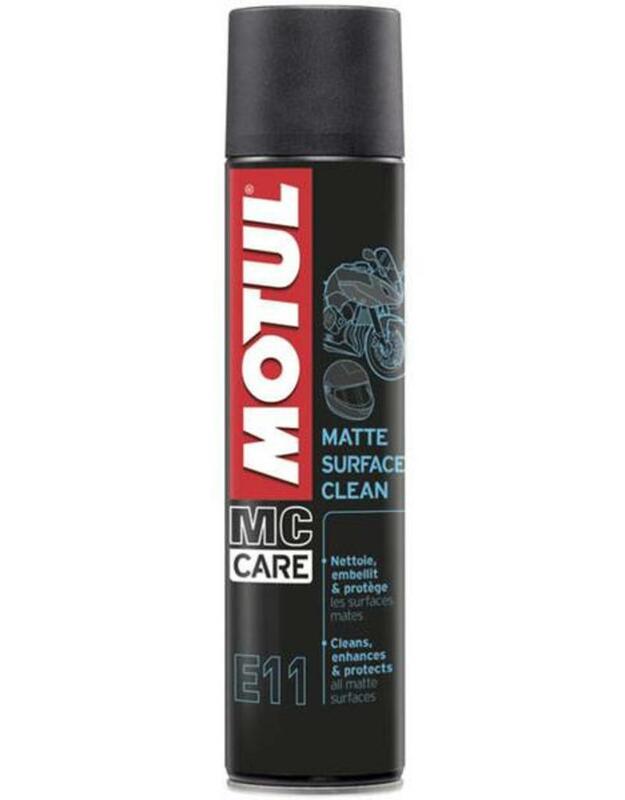 Thanks to an exclusive formula it cleans & restores all matte plastic and painted areas, leaving a flat/matte, non-sticky finish. Contains a protective UV layer. This product is for use on matte surfaces only.